Something Silver address, phone, website, and more. 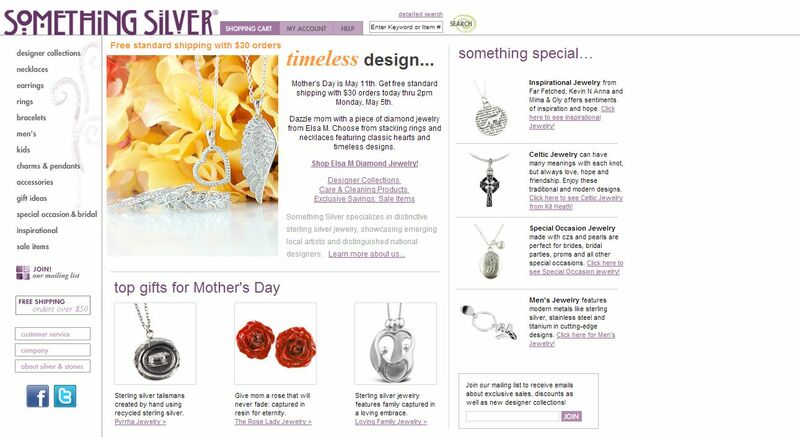 Something Silver began in 1994, with the belief that stylish, high-quality jewelry doesn’t have to break the bank. With that simple idea as our guide, we’ve strived to bring our guests up-to the-minute fashionable accessories alongside a collection of timeless, everyday basics; all at an exceptional value. With over 50 top national and international designer collections from the likes of Pyrrha , Kit Heath and Liquid Metal by Sergio Gutierrez, there is literally something for everyone here. In our search to bring our guests unique designs, we’ve partnered with numerous artists to create collections that are exclusive to Something Silver. We’re also committed to championing local Northwest artists such as Kelly Reese, Dolcetti and Amy Bengston. We have the greatest appreciation for everyone who has helped to make our business a success, from our dedicated team to our dynamic designers, we say thank you. And to our loyal guests, you have our deepest gratitude for all your support.